And now, for something completely cool, please welcome fabric Raised Beds to the stage! (crowds cheering) Why are we cheering so much? Fabric raised beds would win in a fight with wooden raised beds. Fabric raised beds will provide better aeration and air pruning than wood will. That means healthier roots. Even though some oxygen can get through wooden slats, the amount would be much more with fabric sides. How many times have you made a wooden raised bed and wished you could move it? 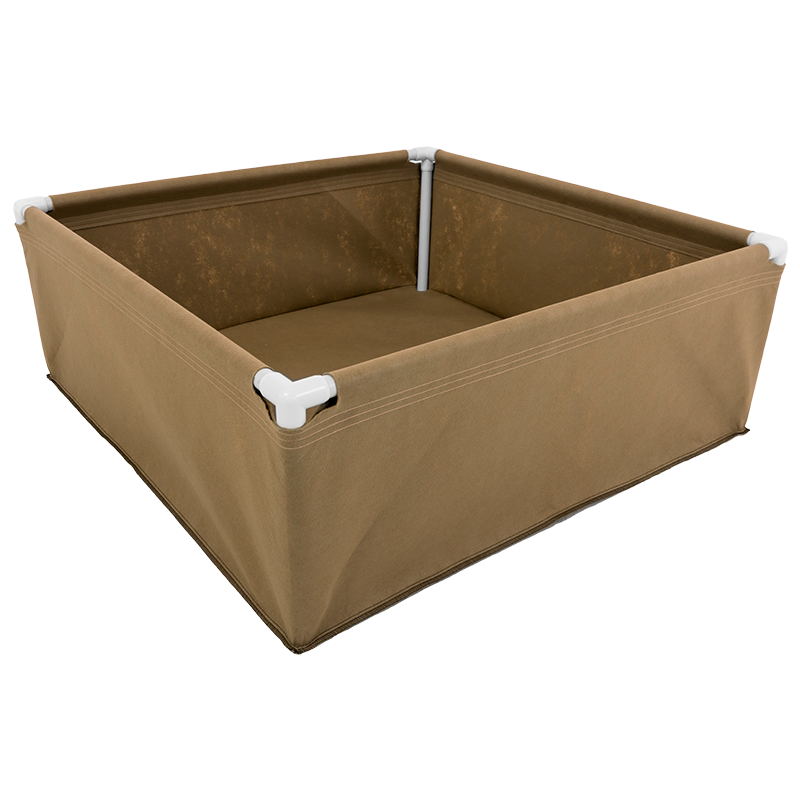 Fabric raised beds are lighter and easily moveable. Also, you don’t need hammering and wood-cutting skills to set them up! No hard corners, no nails, and accessible for ADA needs. Curious for more? Here’s some info on fabric raised beds versus fabric pots. Into Living Soil and No-Till Growing? Check out our line of pots and beds made to emulate nature’s drying patterns. Your purchase will come with the fabric bed AND the PVC fittings. All you will need to get are the proper lengths of 1” PVC pipe to connect everything. You’ll have the choice to add the PVC fittings for a trellis. You will be able to cut lengths of 1” PVC pipe to make your trellis as tall as you want. 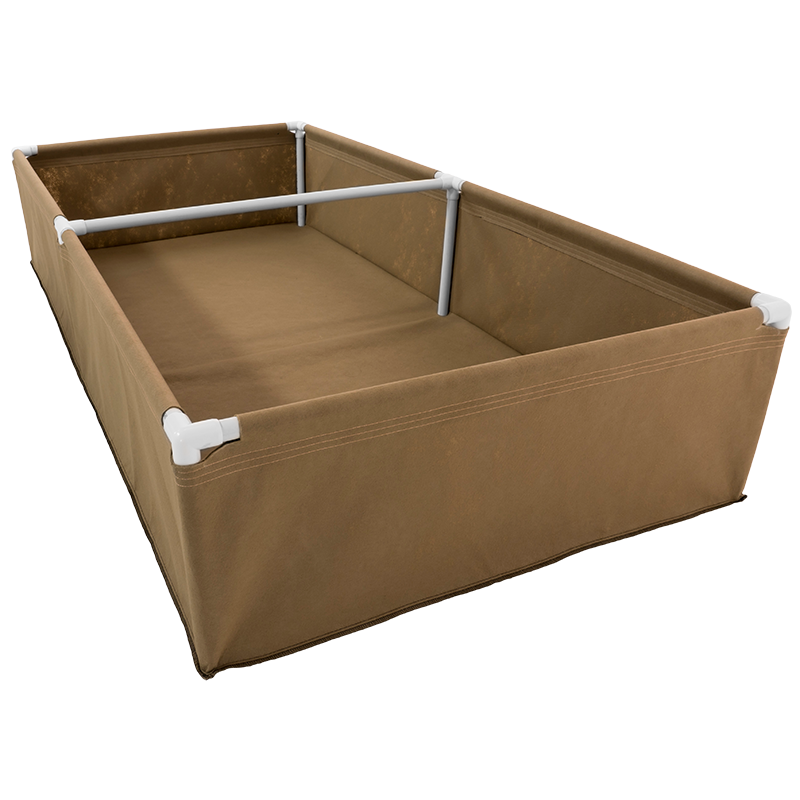 The PVC piping and fittings help the bed to stay rigid and structured. We use fittings for 1″ PVC which is thick and strong compared to something smaller like 1/2″. *Note: The 4×4 and 4×8 beds are 2 inches smaller to fit into a 4×4 or 4×8 tray. Sometimes you need something to fit your exact set up. Check out our video and instructions on how to put a Grassroots Raised Bed together. 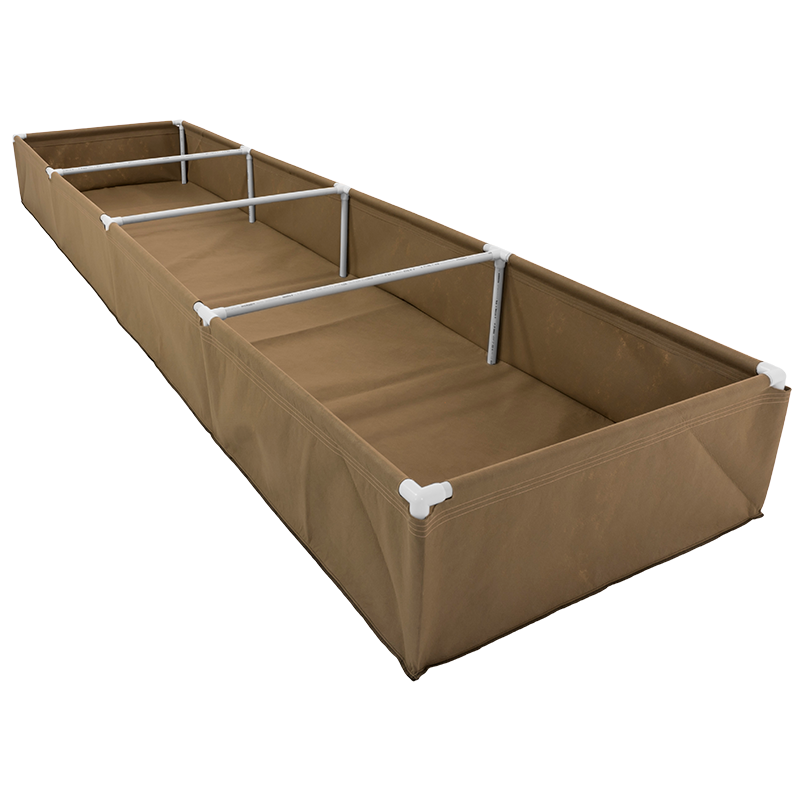 How do I assemble a raised bed?